No electrical problem can be solved if it isn’t diagnosed properly. While it is always best to call an electrician for the job, you should be able to identify some of the problems before the electrician arrives so that you can tell them what has been catching your attention. How would you know when to call the Fishers team for troubleshooting services? Here are some common problems that will tell you to call an electrician! 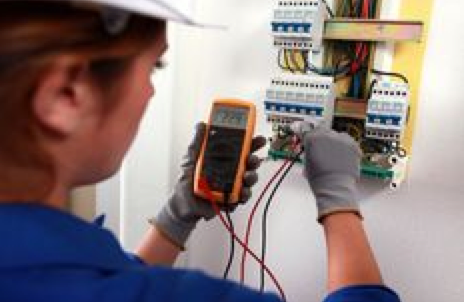 Is There An Electrical Problem In Your Fishers Home? Sparking in the electrical outlets You may have seen sparks flying out of an electrical outlet before. This can happen while you are using an appliance, when you turn it off, or even when the socket is empty! Sometimes, sparking is normal. But if the sparking is constant and intense, then you should be worried, because the buildup of too much heat may melt the insulation that surrounds the wire. This increases the chance of an electrical fire. No currents in the electrical outlets If an electrical outlet suddenly stops working and decides to become a hurdle in your routine, you should consider calling an electrician. Chances are that the outlet burned out because of over-use. This may also be accompanied by black marks in and around the outlet. If you have multiple sockets in line and one of them stops working, don’t risk an electrical fire! Call Best Fishers Electricians. Flickering Lights Flickering lights indicate a poor connection, meaning that electrical connection (and possibly others) needs to be re-wired. Frequent burn-out of light bulbs If you are constantly changing light bulbs or notice a significant reduction in their life, be sure to call Best Fishers Electricians. 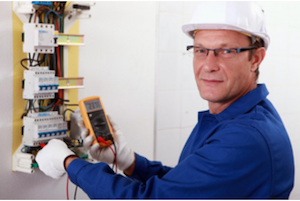 Best Fishers Electricians will perform all residential and commercial electrical repairs and troubleshooting services. Our team will always get to the root of your electrical issue(s) and will not rest until we find a solution that works for you. We will examine your building’s electrical designs and apply our expert strategies to making it better and safer. Troubleshooting is perhaps the most basic of electrical services, but if not done properly and by a professional, it may be the most dangerous. If you begin to notice these signs in and around your home or office, contact Best Fishers Electricians immediately! We will process your request and get back with you quickly!